When you urinate, you may notice a distinct color in or odor coming from your urine. Usually, the color of urine ranges from clear to pale yellow, but it can darken to shades of amber. The yellow pigment urochrome colors urine, which is diluted with water from food and drink. The more diluted urine is, the paler the color. Some medications may also change the appearance of urine, and color normality will vary from person to person. But sometimes, medical conditions can change the appearance of your urine. White, cloudy or murky urine may be cause for alarm and might mean you’re severely dehydrated or have a urinary tract infection, kidney stone or other chronic illness, all of which need medical attention (x). Albinuria is the technical term for the passing of turbid white urine, usually caused by accumulation of pus, bacteria or fat globules (x) (x). In general, albinuria doesn’t cause an odor. Either way, if you notice you have cloudy urine, you should talk to your doctor as soon as possible. Try to be specific about how your urine looks and smells to help your doctor determine the cause of your cloudy urine. 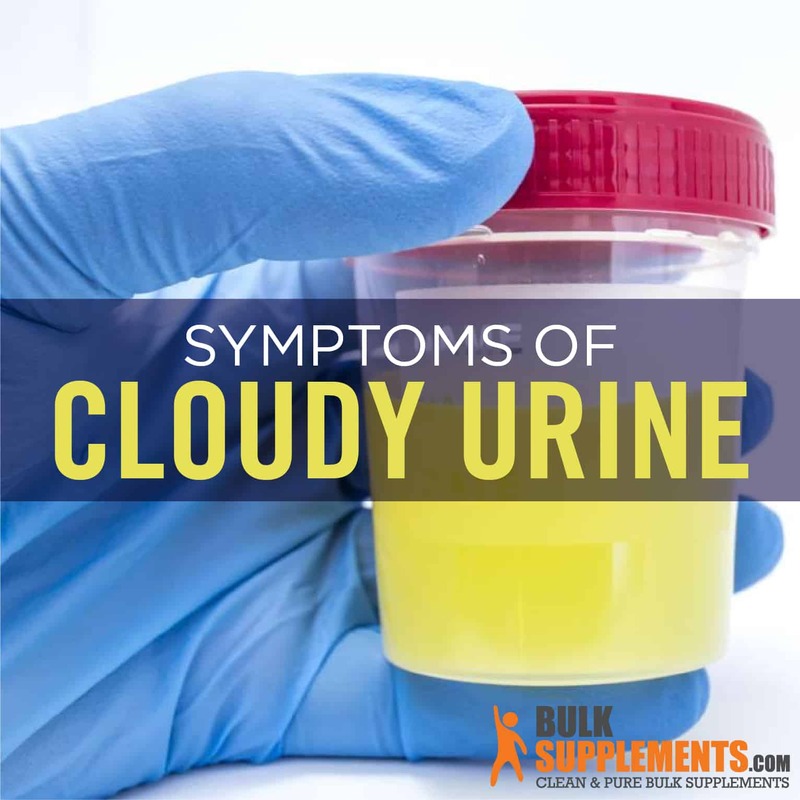 Generally, cloudy urine isn’t a dire medical concern; nonetheless, you should seek medical attention if it remains cloudy and discolored for more than a few days or if it has a foul odor. To treat cloudy urine, your doctor may pursue diagnostic testing, such as urinalysis. Urinalysis is the technical term for urine testing, which your doctor will use to check for blood cells, high levels of protein and excreted minerals. If your doctor suspects you have an issue with your kidneys, he or she may suggest a blood test to check levels of creatine and urea nitrogen–waste products that build up in the bloodstream when kidneys are damaged (x)(x). Cranberry extract powder can help prevent infections in the bloodstream from entering and attacking the bladder. Clove oil is antimicrobial, antifungal and antiviral. It acts as an anti-inflammatory to alleviate pain and speed healing in the urinary tract. D-mannose, a sugar found naturally in some fruits, can protect your urinary tract from infection. Pygeum Africanum extract powder is sourced from an African tree and helps prevent prostate and urinary tract ailments. Saw palmetto extract powder supports urinary tract and prostate health. It also contains compounds called sterols and stanols, which help manage cholesterol. Stinging nettle is a natural diuretic with anti-inflammatory properties that supports urinary tract and digestive health. Cloudy urine can be alarming but it’s generally a harmless sign of dehydration, which you can remedy by drinking plenty of water. However, if your cloudy urine persists for several days, or appears alongside other symptoms, talk to your doctor to rule out any serious medical conditions.